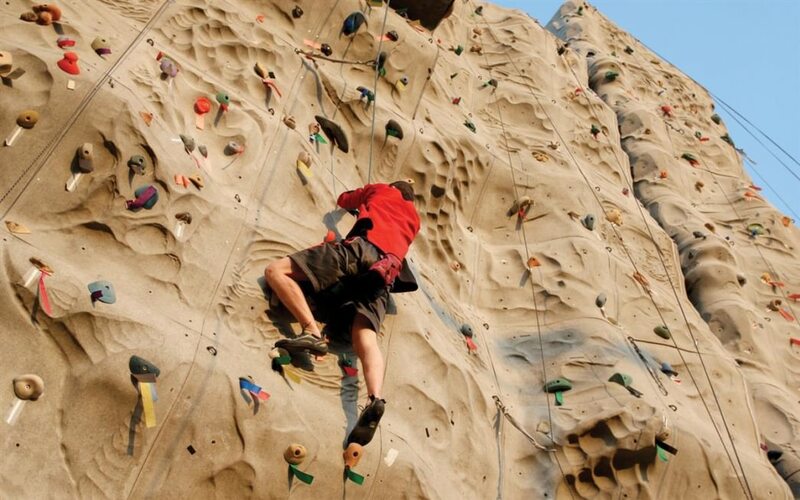 This gym in Lincoln Park features an impressive outdoor climbing wall. The outdoor wall is closed during the winter and early spring. Living in the second flattest state in the union (thank you Florida! ), residents of Illinois are used to heading inside for their regular climbing fix. Yes, there are certainly beautiful climbing destinations in the Midwest—but they’re all several hours away from downtown Chicago. So if you want to climb outside without burning through a tank of gas, you don’t have many choices. Thankfully one of those is right in the heart of Lincoln Park at the Chicago Athletic Club at its custom-made outdoor rock-climbing wall. Great for both beginners and experts, the wall at the Chicago Athletic Club in Lincoln Park is one of six walls at three of the gyms' locations (the others are in Lakeview and Evanston). You won’t be able to miss the 70-foot wall as you approach the club on Diversey Parkway. 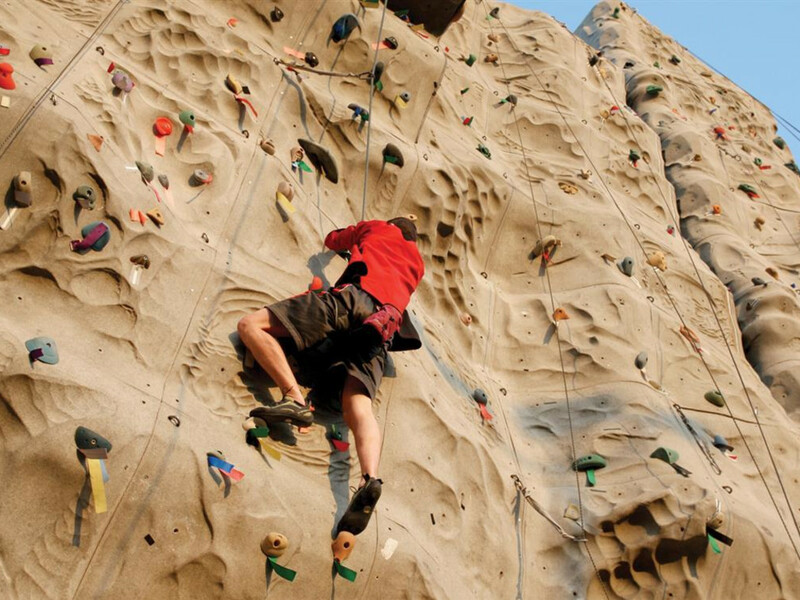 The outdoor wall is closed during the winter and early spring, but for much of the year you can enjoy both the outdoors and serious climbing. Classes are offered for beginning climbers every week, instruction in sport climbing as well as private instruction. There’s an extensive kids climbing program, including several climbing teams. Great for beginners (they offer many classes) and advanced climbers looking to get some outdoor sending. The gym is located at 1019 W. Diversey Parkway. Find out more about the club's programs here.